What keeps the heart of France beating. The French Paradox observes the fascinating incidence of strikingly low rates of heart disease and obesity related illnesses in the south west of France where saturated fats and alcohol consumption are commonplace. According to modern medicine, these factors should make for a very heavy and unhealthy population riddled with all cancers, cardiovascular disease, and high blood pressure. However, the opposite is true. The French population has one of the lowest rates of heart disease in the world and it may be related to red wine, or more specifically, the resveratrol within the wine. Resveratrol is a polyphenol manufactured most notably by grapes, but peanuts, mulberries, and eucalyptus also produce it. When viral agents, funguses, and bacteria attack the grape, it produces resveratrol to defend itself against the invaders. Designed by nature as a defense mechanism, it’s no surprise that resveratrol is extremely beneficial to humans, toting anti-inflammatory properties, potential cancer fighting abilities, and protection against thickening arteries. Most recently resveratrol has been studied as a cancer fighting agent. In several studies, mice who were fed refined resveratrol saw reduction the sizes of their tumors. Resveratrol also allows cells to complete apoptosis, which means the cell can essentially turn itself off and die. In a healthy cell, apoptosis happens when it senses itself becoming cancerous. However, when apoptosis fails, the cell metastasizes and becomes cancerous. If resveratrol could be used to enable cells to use the apoptosis function, tumors might not just shrink in size but disappear completely. Another positive for resveratrol in the fight against cancer is that it reduces the symptoms of chemotherapy. Resveratrol does this by actually leeching some of the incoming toxins and making the treatment less severe while maintain effectiveness. For this reason, resveratrol is under strong consideration for cancer treatment in pediatric patients who desire less invasive methods. The anti-inflammatory properties of resveratrol are multifaceted. Resveratrol also increases blood flow and oxygenation of cells all over the body, reducing the oxidation and accumulation of fats and free radicals. This might explain why the French do not store the harmful agents associated with their diets; the resveratrol is helping to flush it out and keep the arteries clean. Another recent study examined how resveratrol might affect chronic brain conditions such as epilepsy and painful neuropathy. With the reduction of inflammation in the brain and increased blood flow, most patients on resveratrol saw marked improvement. So, where are the French getting their resveratrol from? Well, most researchers agree it is from copious amounts of red wine. 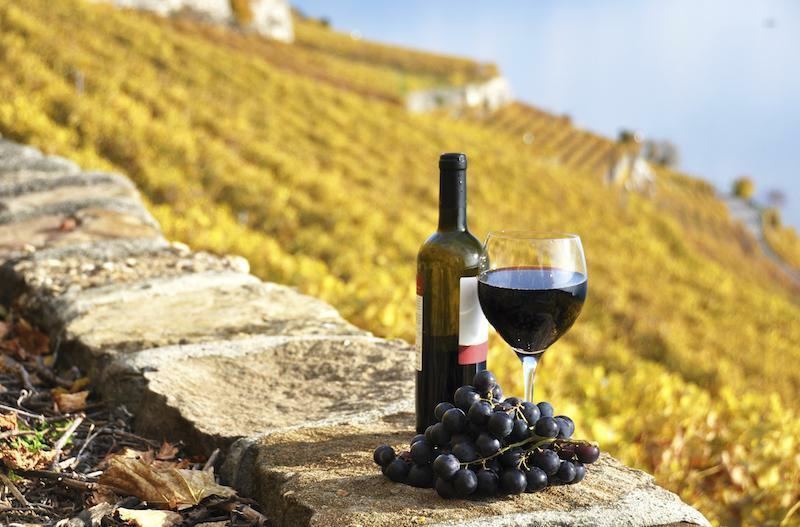 Even though resveratrol has a mass of benefits, we are not encouraging you to take up a drinking habit. It should also be noted that the resveratrol found in red wine is different from the refined resveratrol used in the cited medical studies. However, if you are looking for a good source of resveratrol to supplement your diet, I would recommend our Perfect Health. A fortified rice bran supplement, it contains 200 mg of resveratrol per serving, equivalent to what you would find in about 40 liters of wine. We definitely do not recommend you drink that much wine. Other great sources of resveratrol include table grapes, peanuts, mulberries, and blackberries.